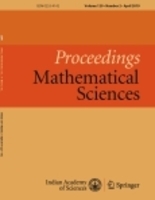 Almost Koszul algebras; Yoneda algebras; self-injective algebras. Let 𝑘 be an algebraically closed field, 𝐴 a finite dimensional connected (𝑝, 𝑞)-Koszul self-injective algebra with 𝑝, 𝑞 ≥ 2. In this paper, we prove that the Yoneda algebra of 𝐴 is isomorphic to a twisted polynomial algebra $A^!$ [𝑡 ; 𝛽] in one indeterminate 𝑡 of degree 𝑞+1 in which $A^!$ is the quadratic dual of 𝐴, 𝛽 is an automorphism of $A^!$, and 𝑡𝑏 = 𝛽(𝑏)𝑡 for each $t \in A^!$. As a corollary, we recover Theorem 5.3 of .